But sometimes work locations may not be the greatest. Some are dark and cramped or just plain small. Others might not be a good fit photography wise. Some spaces just don’t lend themselves to being a great background for a portrait. That’s where a virtual background can come in to play. How does this even work? Well for a virtual location headshot we have you first come to the studio for a portrait session. Choose either our Headshot Plus or Branding package for this. It will allow you more poses and outfits to get the shot you want. After your session we will send you a selection of images in a gallery to choose from. Once you’ve made your selections we will choose a background based on our discussion with you on what you want your portrait to convey. Then we will show you some finished portraits to choose from. 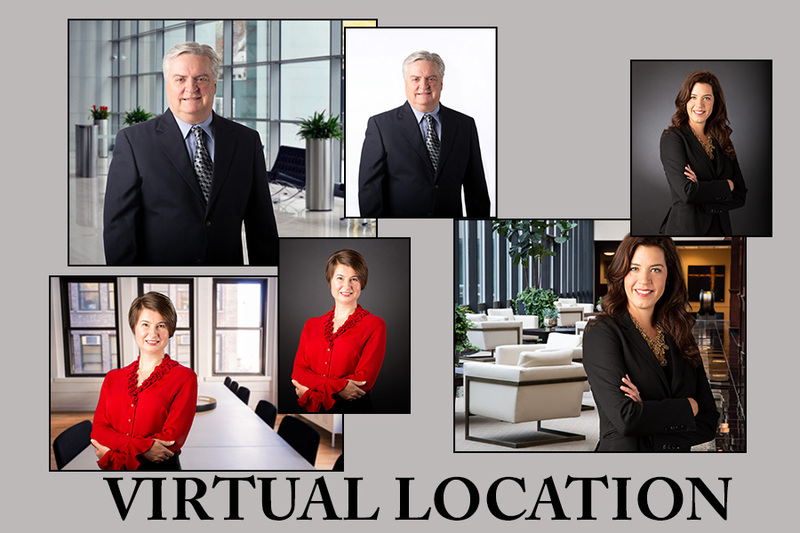 So the next time you are thinking of getting a new headshot maybe consider a virtual location portrait. Need more information? Give us a call @719-475-0160 or email us.